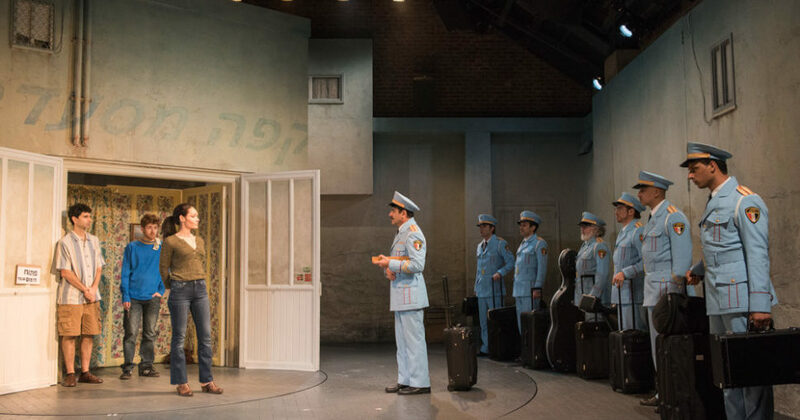 An Egyptian band unexpectedly arrives on the doorstep in a small, rural Israeli town in The Band’s Visit, which opens on Broadway on November 9. Photo by Ahron R. Foster. John Cariani is a busy man who always has a few irons in the theatrical fires. As a playwright, he develops and refines plays over multi-year periods before dropping the highly polished and resonant final scripts on the world. The results are impressive: his play Almost, Maine is now a perennial favorite in regional and community theatres, and was recently named the most produced full-length high school play in the United States. His play LOVE/SICK played Off Broadway in 2015, which is all the more notable because Cariani himself starred on Broadway in Something Rotten! that same year. This year, he’s at it again, slipping in advising emerging playwrights and revising a play while also preparing to star in the Broadway musical The Band’s Visit. The Twin Cities Arts Reader‘s Basil Considine caught Cariani on a rehearsal break from The Band’s Visit to talk about playwriting, acting, final frontiers, and the show’s march towards the Broadway spotlight. 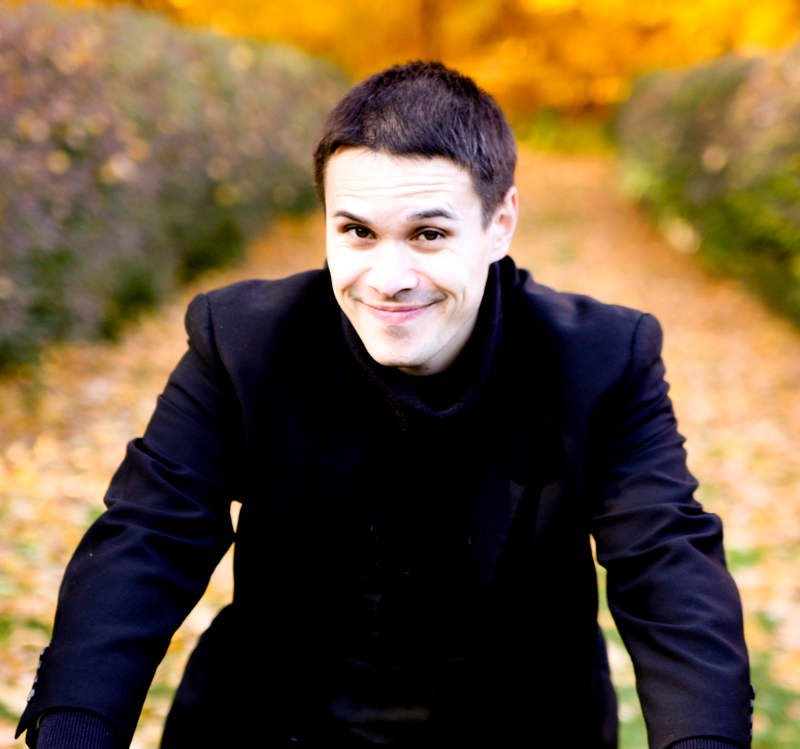 Read Basil Considine’s 2014 interview with John Cariani about Almost, Maine and Love/Sick. You’ve had a busy couple years since we last spoke – how would you summarize 2014-2017? 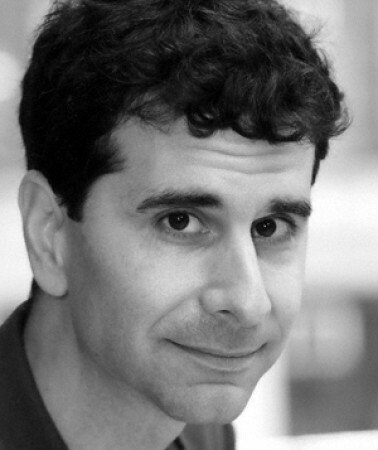 Actor-playwright John Cariani, who plays Itzik in the upcoming Broadway production of The Band’s Visit. I did a couple TV things, and a couple movie things, Something Rotten!, then The Band’s Visit came along, and now that’s going on to Broadway… I also have a new play that I’m working on, called cul-de-sac [sic]. The road to a Broadway opening can seem very linear when you read about it, but it’s often a very tangled process that takes years. You were in the 2016-2017 Off-Broadway production of The Band’s Visit – did you have any advance notice that the show was heading to Broadway? The reviews were all pretty ecstatic and we knew the buzz was good, so we were hopeful! We have a wonderful and very open, communicative lead producer, Orin Wolf, who said he hoped there was a future for The Band’s Visit, and he implied that that meant Broadway. We knew there wasn’t much of a chance of it happening it in the spring [Editor’s note: the Off-Broadway production of The Band’s Visit ran December 8, 2016–January 8, 2017], so all signs were pointing to a fall opening. This is the fastest and most linear move to Broadway I have ever experienced! What was it like knowing that you had a Broadway opening in the pipeline? Did you keep auditioning around? When we knew we were moving to Broadway, I had a conversation with my agent, and he said “There’s not much to audition for that’s better than The Band’s Visit, so we’re not going to send you out [to audition] for much. We’ll just let The Band’s Visit be the big thing.” And I liked that approach. It’s such a wonderful play, a wonderful project. The creative team is top-notch. When I know I have a great job coming up—well, it’s the best. It gives me peace of mind. And it gives me time. Time that I don’t have to use preparing for auditions. Time to write. Time to go on a vacation. Where did you go for that vacation? I also went to the Last Frontier Theatre Conference in Valdez, Alaska, which was a working vacation, I guess. I served as a panelist and a mentor and listened to readings of over a dozen plays by playwrights from all over the country. Because it was June in Alaska, the days were very long and I was able to go on hikes late at night. We’d work from 10-6, and then have some dinner and then go for a hike. I have pictures of me hiking at 11 at night – and it looked like it was daytime. So cool! I like Alaska because it’s a lot like Maine, but everything’s a lot larger and grander. What was it like making theatre in Alaska? What I really liked about the festival is that it reminded me that there’s more theatre than just the theatre that’s made in New York—and that good, interesting, challenging theatre is made all over the country. There were performances of plays every night during the festival by companies from Anchorage, Alaska as well as from far flung places like Los Angeles [more than 2,000 miles away] and Australia [more than 5,500 miles away]. Theatre is an urban art form, but it’s nice to know that it can also exist in rural places—or whatever Alaska is! Before you were in The Band’s Visit, you were in Something Rotten! on Broadway. How did you go from one production to the next? I was originally contracted for a year with Something Rotten! – from March of 2015 through March of 2016. Then a bunch of us original cast members signed on for a few months longer, and we stayed on until July of 2016, when a new cast replaced us. Around March 2016, right after I’d signed on for a few more months, I got a call to audition for The Band’s Visit. The show has music and lyrics by David Yazbek, whose work I love, and a script by Itamar Moses, whose work I love, and the show was being directed by David Cromer, whose work I love, and it was to be produced by the Atlantic Theatre Company, a company whose work I love (because they do Lucy Thurber’s plays) – so I wanted “in” on the project based solely on the who (the creative team) and the where (the Atlantic)! Once I read the play and worked on the scene I was to audition with and heard the music I would get to sing, I knew wanted to be a part of the show. And, fortunately, I was asked to be a part of it. We started previews on November 11, 2016, and then opened a month later. We only ran through January, though – it was a limited run and it sold out completely. A lot of people wanted to see it but couldn’t – which made for some pretty good buzz. How are your roles in Something Rotten! and The Band’s Visit different? Something Rotten! is about a couple of brothers, Nick (played by estimable Brian d’Arcy James) and Nigel (me) Bottom, who are a struggling playwriting team in Elizabethan England. And they toil in the shadow of – who else? – Shakespeare. Doing Something Rotten! was an athletic event. Lots of pratfalls and high and low comedy and spectacular production numbers. It was uproariously funny and brash and irreverent. And it was in the St. James Theater, which is a 1,700-seat theatre. 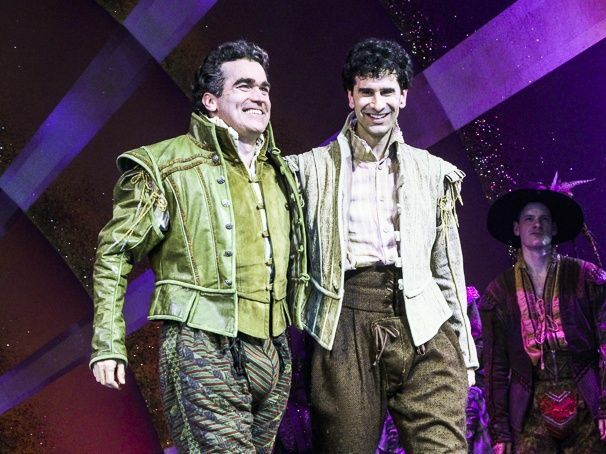 Brian d’Arcy James and John Cariani in Something Rotten! on Broadway. Photo by Bruce Glikas. The Band’s Visit couldn’t be more different. It’s small, it’s quiet, it’s very funny, but in a wry, dry way. It’s about an Egyptian band—the Alexandria Ceremonial Police Orchestra—that goes to a (fictional) town in Israel, called Beit Hatikva, to do a concert at the Beit Hatikva Cultural Department. The problem: they were supposed to go a place called Petah Tikva…but the two towns are pronounced identically when said in Arabic. So they end up in Beit Hatikva. Which has no Cultural Department. And the play tells the story of what happens when these band members are stranded in this small town full of what we might call hicks. The show kind of subverts the audience’s expectations: people think they’re going to see a show that’s going to be about a clash of two groups of people that—historically—don’t get along too well, and instead they see a show about people helping each other out and being decent to one another. I keep calling it a play, but it’s a play with music. If Something Rotten! reaches out and grabs the audience, The Band’s Visit asks the audience to lean in and come to it. A friend who saw the show last winter called it “a mirage”, which I think is perfect. Tell me more about Beit Hatikva. Is it a modern-day shtetl, a kibbutz, or…? Beit Hatikva is just a small town in the middle of the Negev Desert. Life there is slow, quiet, and seemingly uneventful. The people of Beit Hatikva aren’t miserable, but they’re resigned to the fact that this is where they live, and their lives are what they are. It’s not the best…but it’s not the worst. Everything is pretty okay. It’s a place where people yearn and hope and wait—and they aren’t quite sure what they’re yearning for or waiting for. Just…something different. I’d liken it to any small town in the United States. It reminds me of where I grew up – in far northern Maine. 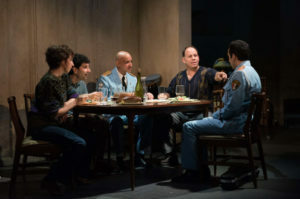 In his review of the Off-Broadway production of The Band’s Visit, Ben Brantley describe the setting as “both exotic and touchingly familiar” and praised the “abiding truths of unfulfilled lives”. What are some of the things that’ve made this story resonate with audiences? Kristen Sieh, John Cariani, Alok Tewari, Andrew Polk, and George Abud in The Band’s Visit. Photo by Ahron R. Foster. Kindness. The show is a study in people trying to be kind to each other. Egypt and Israel may have a strained relationship, but that doesn’t mean Egyptians and Israelis can’t get along. I think it’s important that we remember right now that people from different cultures – people who have different beliefs – can get along. It’s a good reminder for Americans right now. As much as we don’t seem to be getting along these days, so many of us do actually get along quite well. So much of the story of The Band’s Visit is about communication…and lack of communication…and how difficult it is for the Israelis and the Egyptians to communicate. They have to speak to each other in English because that’s the common language, but no one is even close to fluent in English. So everyone is speaking with great care and listening with great care…and trying so hard to communicate, which is a beautiful thing. Where are you in the rehearsal process for The Band’s Visit? We just spent 3 weeks in a rehearsal room, and moved into the Barrymore Theatre on Monday. How has the show evolved since last January? There have been tiny adjustments to just about every sequence and every scene. I play Itzik, a new dad who is unemployed—much to his wife’s chagrin—and I sing a lullaby to my baby; that song has been changed in that it’s now accompanied by the members of the visiting band. The changes have mostly been about improving the clarity of storytelling. We’ve worked on figuring out when these strangers are cold to each other and when they warm up to each other. And David [Cromer, director] has pushed us to remember to let events unfold at the speed of life, and not at the speed of a musical – but at the speed of this musical. One of our understudies, Pomme Koch, said, “After Hamilton, which is spectacular and epic and fast and furious, this [The Band’s Visit] is the only direction the musical can go.” I think he’s right on. Tell me about your current writing project. I’m working on a play called cul-de-sac [sic]. It’s a dark comedy about keeping up with the Joneses and the lengths people will go to to be happy. It just had a workshop at the Cape Cod Theatre Project in Falmouth, MA (where Almost, Maine was also developed). I also worked on the play at the Portland Stage Workshop, where Almost, Maine premiered. Your earlier plays Almost, Maine and Love/Sick are in some ways explorations of quirkiness – how does cul-de-sac compare in terms of tone and genre? I’m not sure those plays are explorations of quirkiness. They’re examinations of normal people thrust into extraordinary and unusual circumstances. cul-de-sac is also about ordinary people in extraordinary circumstances. I like to call it a psychological thriller. Some pretty horrible things happen, but also some awfully funny things, too. How do you write your drafts and revisions – do you handwrite drafts, use a typewriter, switch from pen to Word when revisions begin, etc? I usually handwrite the first draft first, then enter it into a Word document and edit as it goes along. I start the editing on my computer. It always takes me a long time to show a first draft to people, because I don’t like to show my work to anyone else until I think it’s worthy of being read. And it takes a while for me to feel that my plays are worthy of being read! Your plays go through extended development and refinement processes before they’re ultimately published – are large changes being made in this process with cul-de-sac? Lots of small tweaks and adjustments? What makes you hold off on publishing? cul-de-sac was produced back in 2006 – shortly after Almost, Maine‘s Off-Broadway run – by Transport Group, an OBIE and Drama Desk Award-winning theater company. It wasn’t picked up for publication. Which was okay by me, because I knew it wasn’t where I wanted it to be yet. But a couple of years ago, Dramatists Play Service, the publisher of Almost, Maine, decided to publish all of my plays, partly because people were asking, “What else has this guy written?” So I got busy getting my other plays ready for publication. Two of them, Last Gas and LOVE/SICK, are now available, and cul-de-sac is next. I guess I’m slow to publish because I want to feel like my plays are worthy of publication. And cul-de-sac isn’t worthy [yet]. But it’s getting there. This summer I made a big change to the script. cul-de-sac has a big revelation in it. In earlier versions of the play, I felt that the audience thought the revelation was lame, and that it felt “like a play.” I told Moritz [von Stuelpnagel, director of the 2017 Cape Cod Theatre Project workshop of cul-de-sac] that I wanted the events to not feel like a play, to not feel like plot machinery. And I think we made some headway. We’re in a funny time in the theater. I think we’re forgetting that big events happen in small lives. I’m interested in the big moments. Because how we cope with the big moments—well, they’re what define us. The Band’s Visit opens at the Ethel Barrymore Theatre in New York City on November 9. Previews begin October 7.